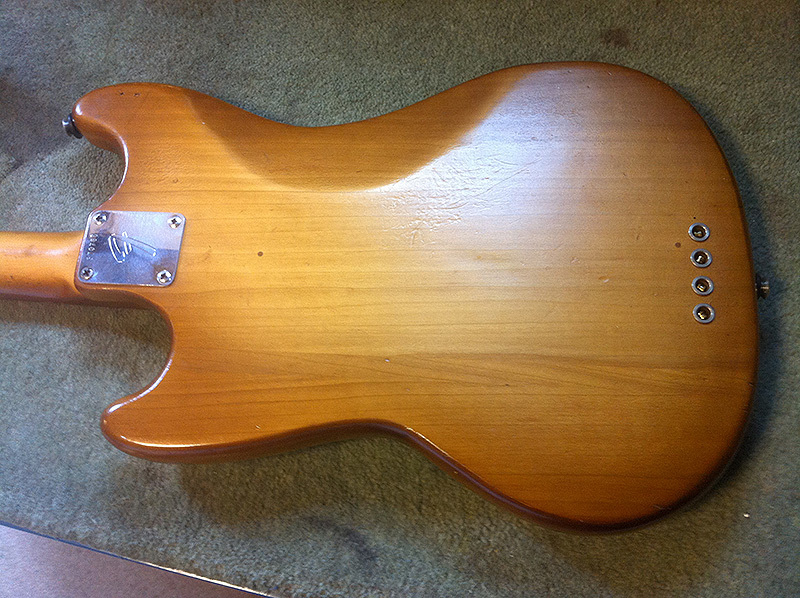 Very nice 1972 Fender Mustang in this week for a refurbishment. 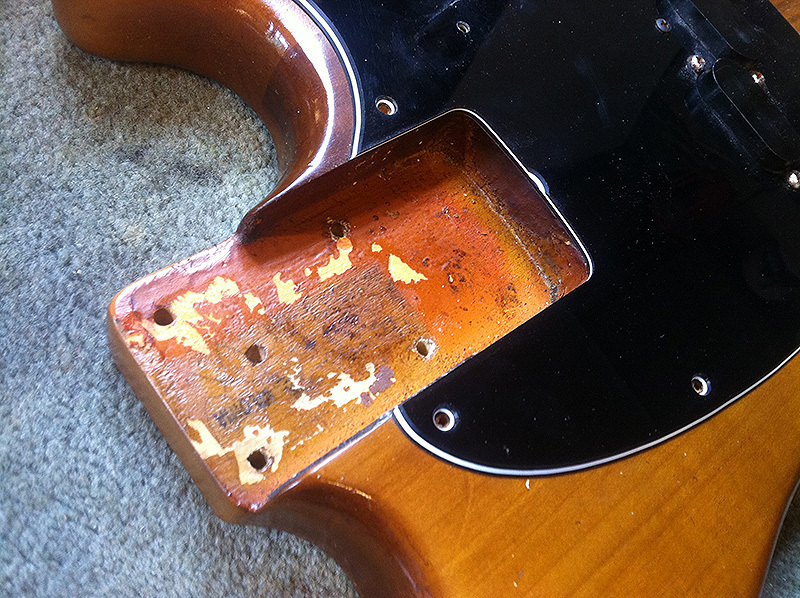 This didn’t quite need a refret, although there was some extensive wear on the frets after 41 years ! 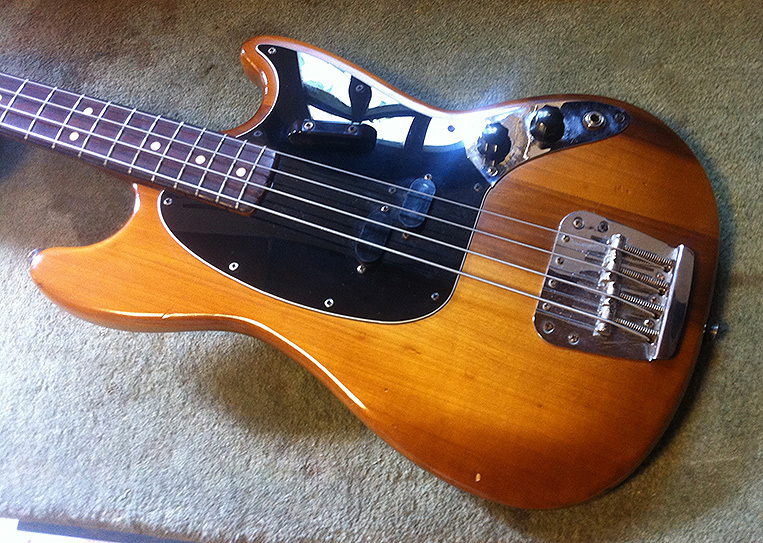 The Mustang Bass was the last original bass designed by Leo Fender before his departure from the company in 1965. 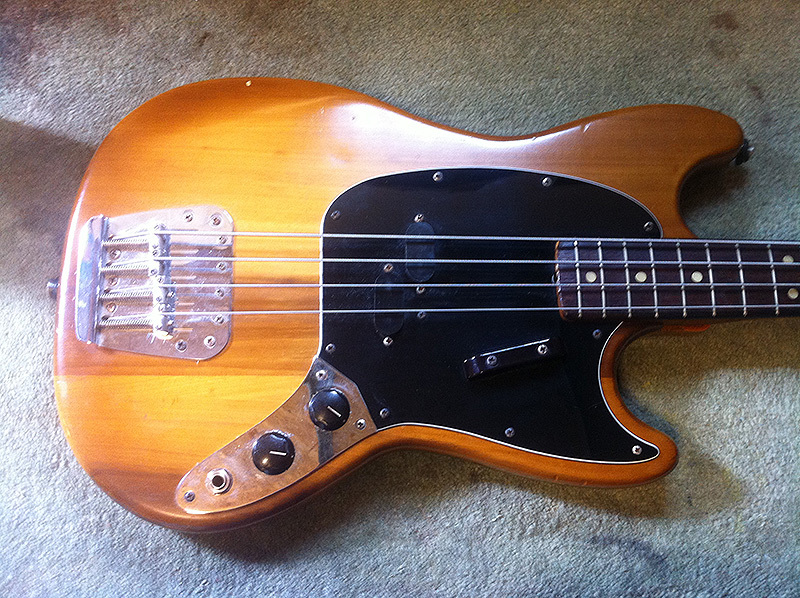 It has a short 30″ scale and a single split pickup (similar to the Precision Bass), one volume and one tone control, with strings-through-body routing. 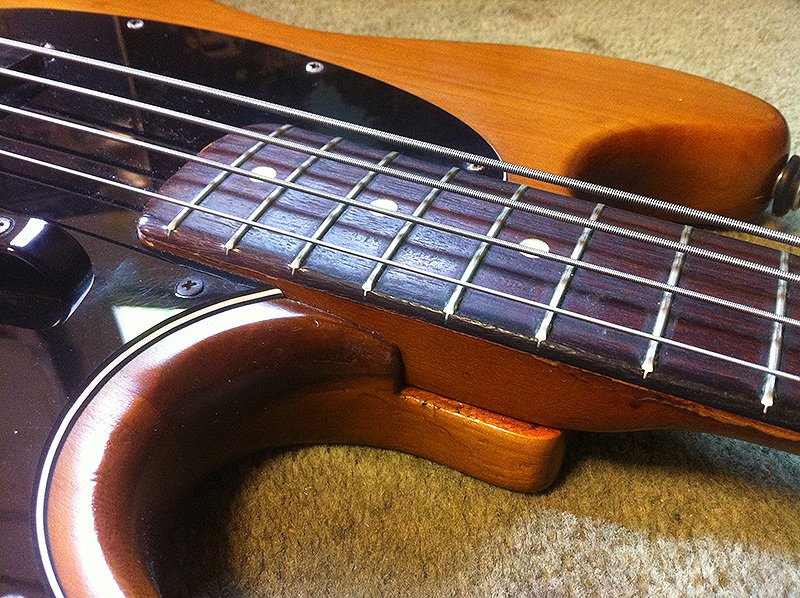 Like the early Precision and Jazz basses, the Mustang Bass was fitted with string mutes (although most players removed these). The standard finishes were red and white. 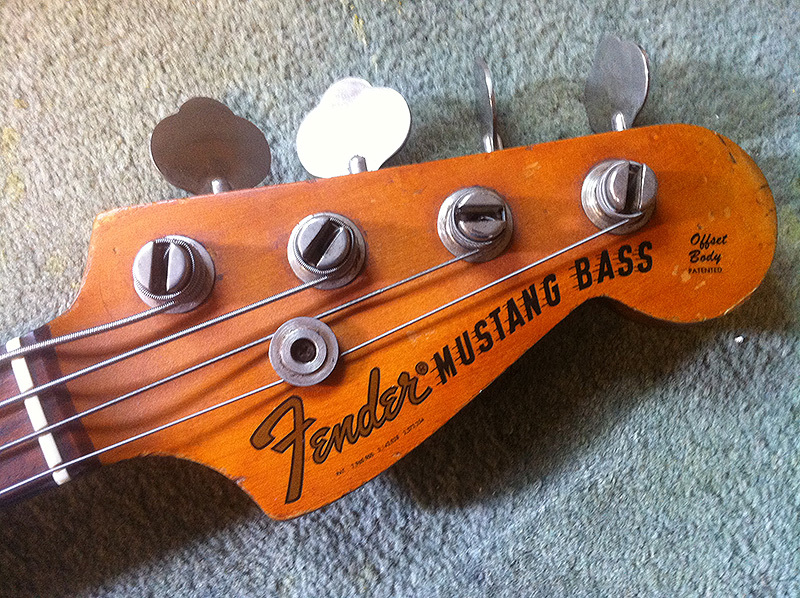 Mustang Basses, like all Fender guitars, were finished in nitrocellulose lacquer up until 1968, thereafter in thick polyester finish. 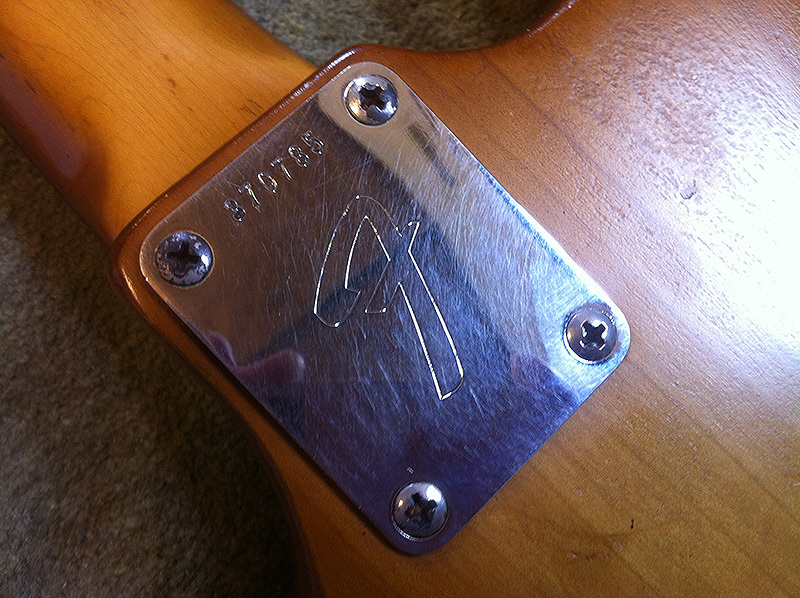 In 1969, both the Mustang guitar and bass were issued with ‘Competition’ finishes, i.e. red with three white stripes, a thick one between two thinner ones, Lake Placid Blue with lighter blue stripes, etc. and were later available in various plain finishes including black and sunburst. 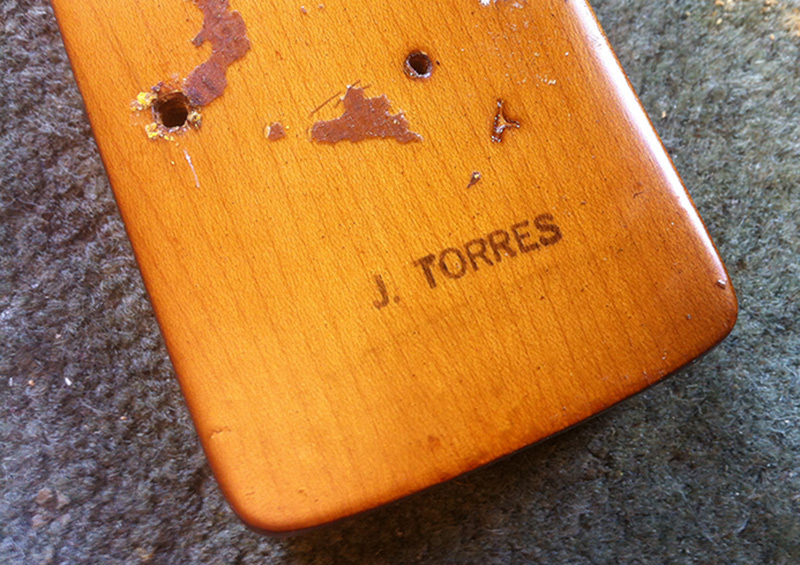 I’ve seen quite a few J Torres stamps over the years, mostly from the 70s. I suspect he was one of the workers who assembled necks and bodies ready for final setup.